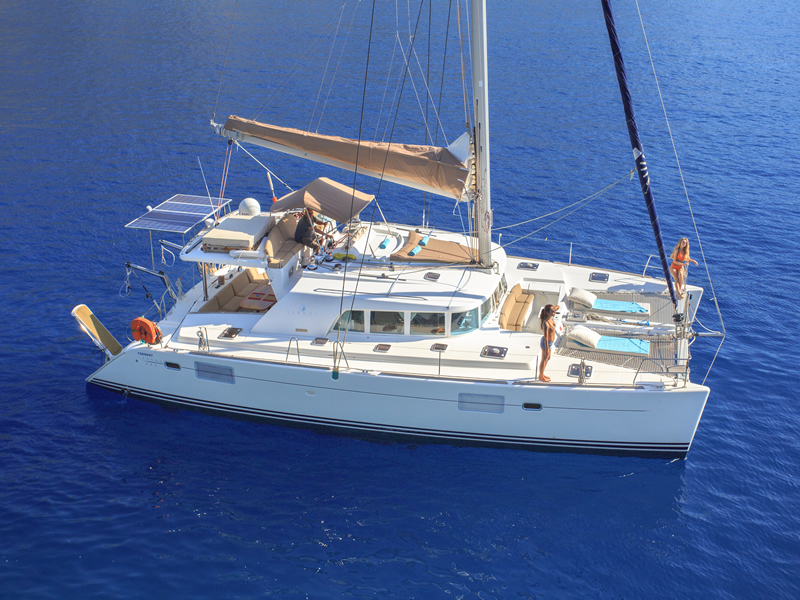 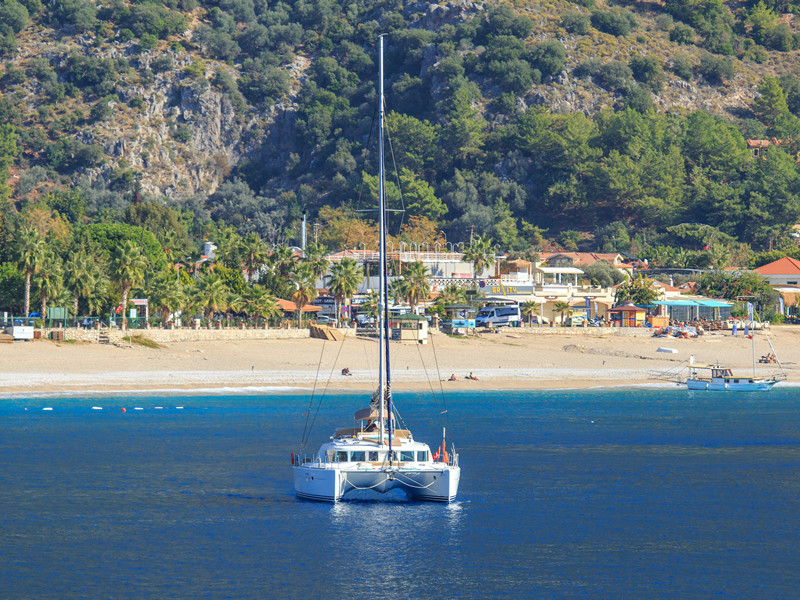 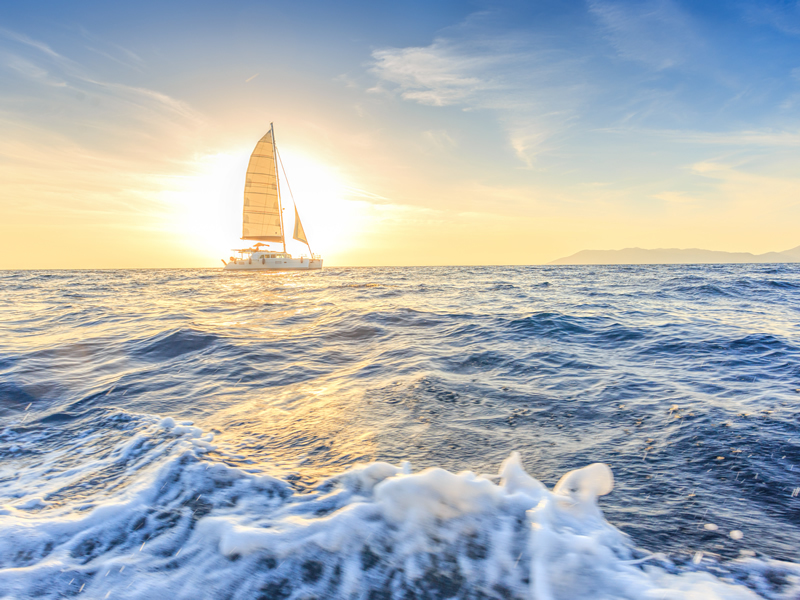 Ecclesia catamaran (Lagoon 440) has proven to be one of the most popular sailing holiday catamarans in the world. 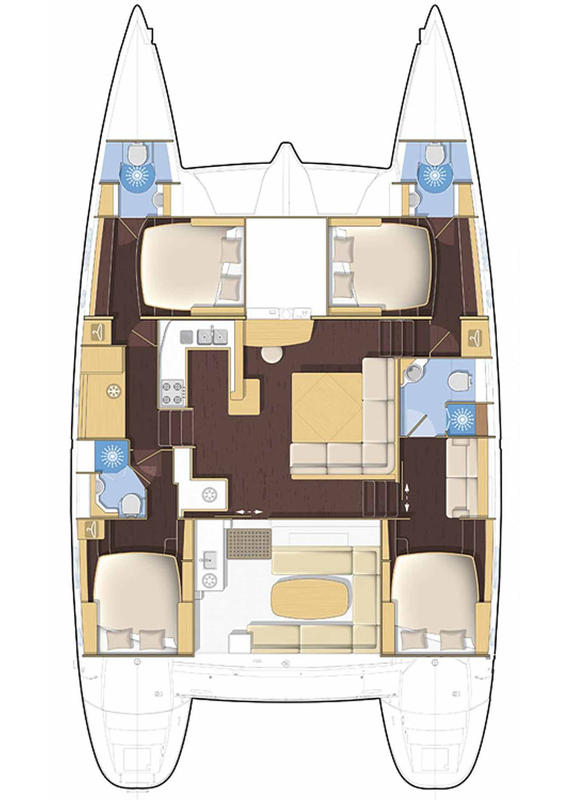 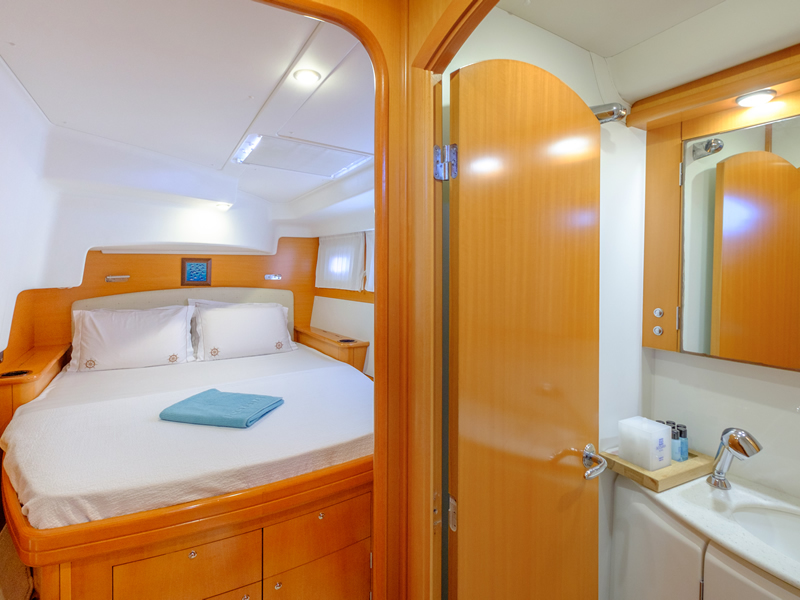 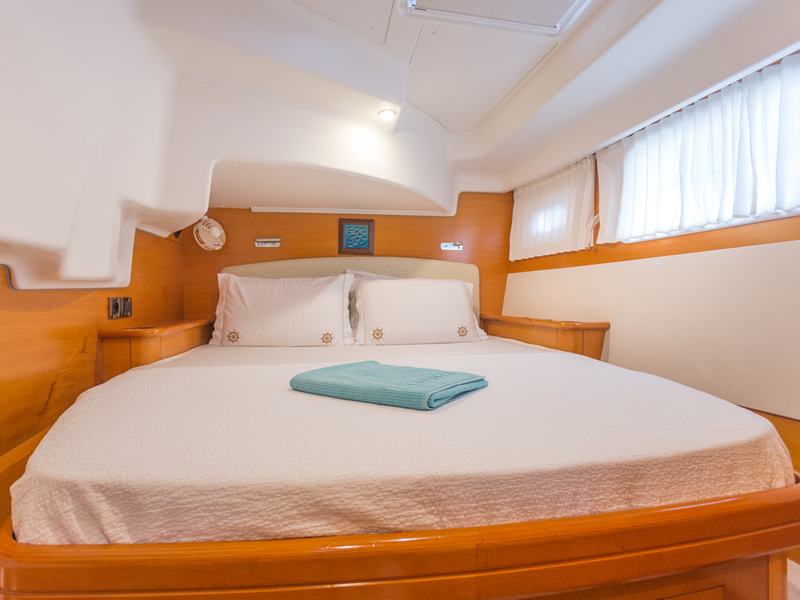 At 44 feet overall length - Lagoon 440 catamarans are ideal luxury sailing holiday yachts with lot of space and comfort. 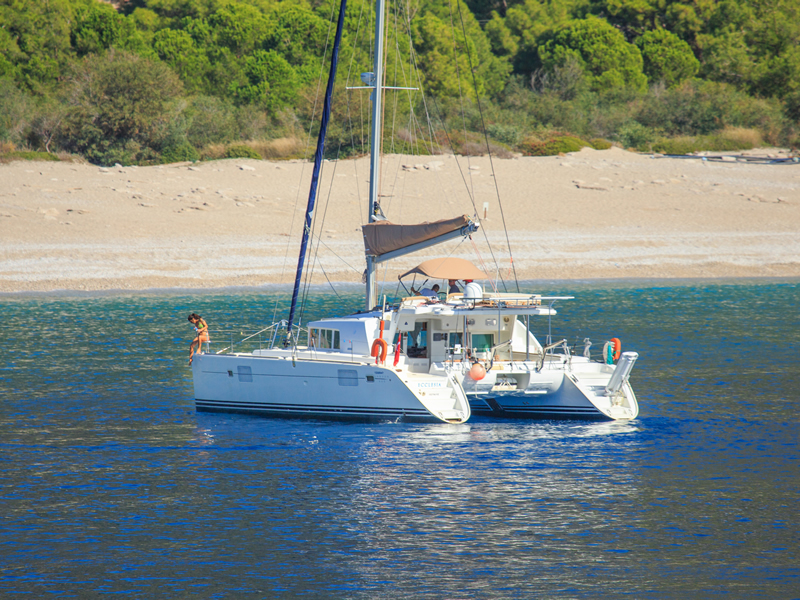 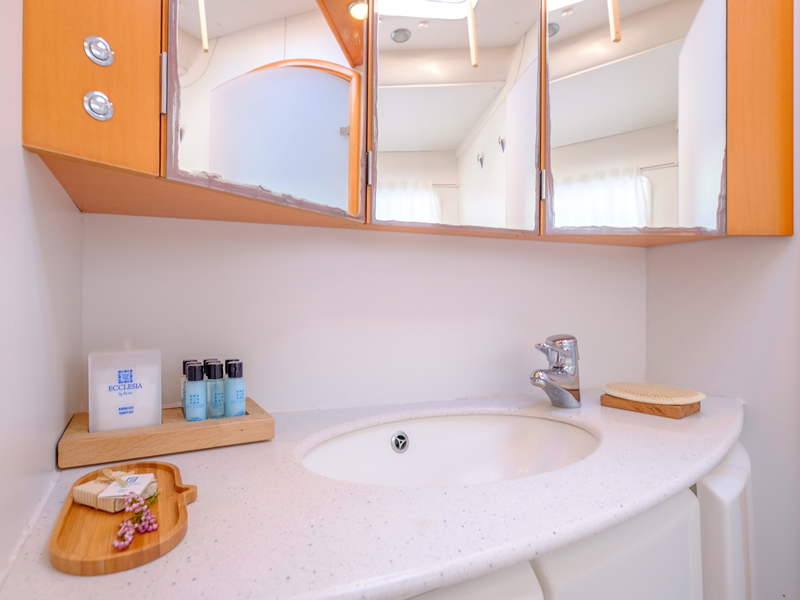 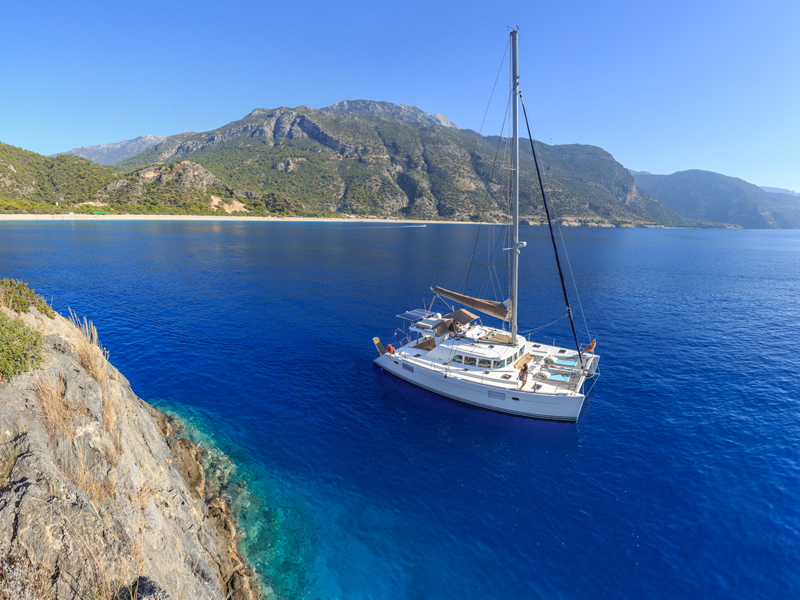 The unique flybridge design, spacious cabins and living spaces & plenty of sunbathing areas makes these catamaran yachts a perfect choice for sailing in Mediterranean. 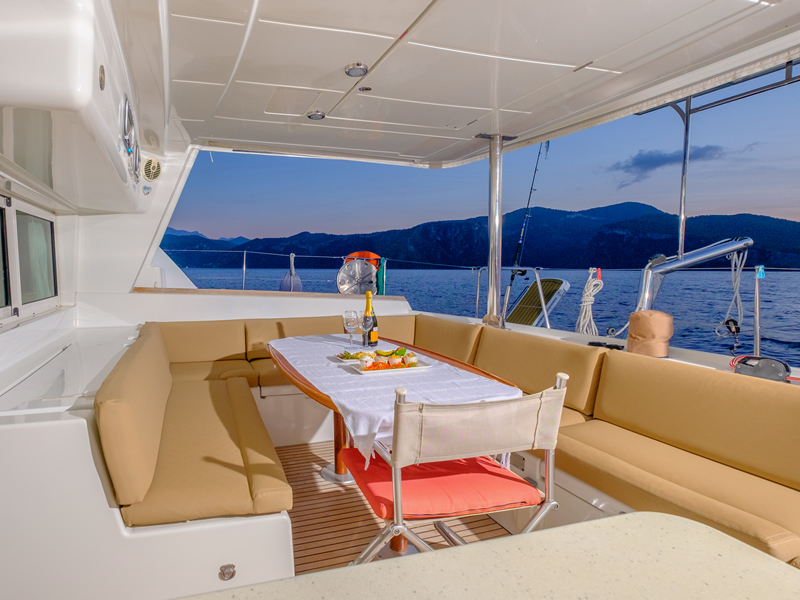 The unique fly bridge design is one of the best things about these models - comfortable seating for 6 - its the perfect hang out for our guests to enjoy sailing and supervise the captain! 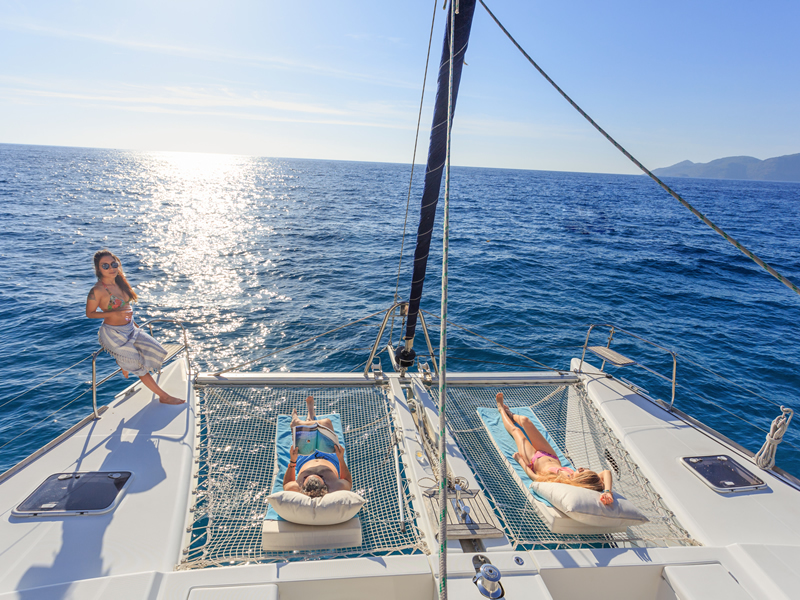 Front of the helm there are comfortable sunbeds. 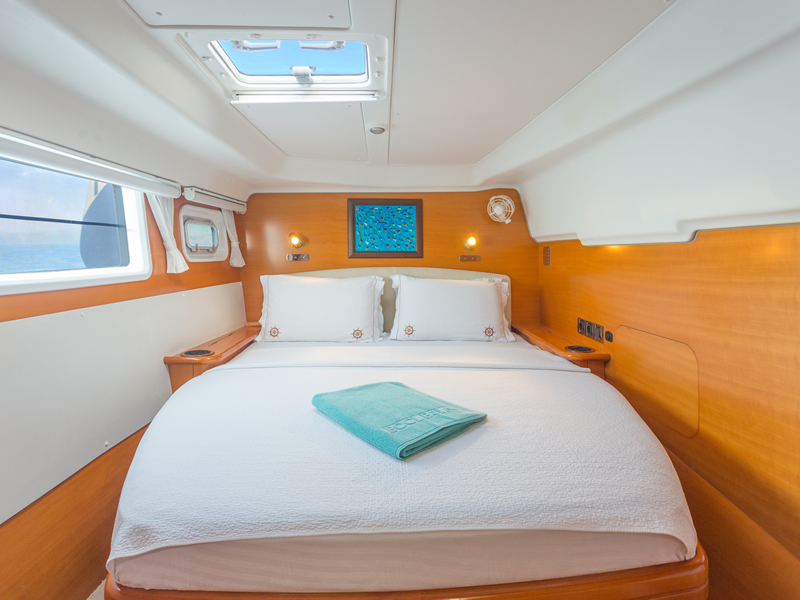 The large comfortable trampoline at the front and comfortable cushioned foredeck cockpit provides extra further seating/sunbathing area for the guests. 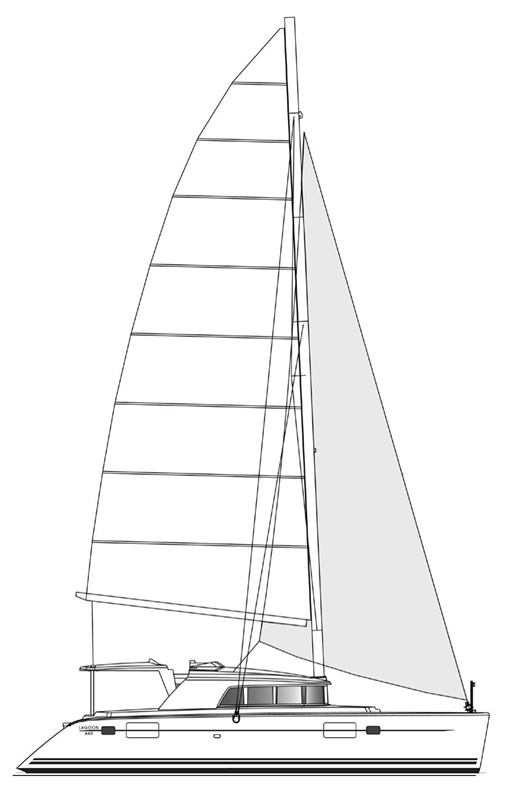 Sail Ecclesia © 2017-2018 | All rights reserved.